We've had a slow start on house projects around here. I've got paint swatches on the wall but haven't picked final colours yet. I've made a few small purchases, but have rooms still cluttered with moving boxes. And I've got dozens of design plans in my head yet nothing to show for it. I'm going to blame it on the new business which I can't quite tell you about yet. Spending all this time on the business though has quickly moved my desire for a new traditional yet feminine home office to the top of the project list. It needs to be in a room away from all the noise and activity of the house. I work better in a quiet environment, where I can close the door for phone calls and just focus on the work at hand. As well, having a room means I can shut the door at the end of the day and 'leave' work behind - at least in theory! Natural light is a must. It keeps my mind awake and gazing outside the window is a good way to get those creative ideas flowing. Storage, storage, and more storage. A neat and organized office helps me think more clearly. I can't be productive in a cluttered environment. I prefer working at a desk instead of a built-in countertop. Strangely, I don't like working with my back towards the door so the floor plan will need to have room for standalone furniture. The home office will be going into the yellow room. There's that silly rounded ceiling corner again. 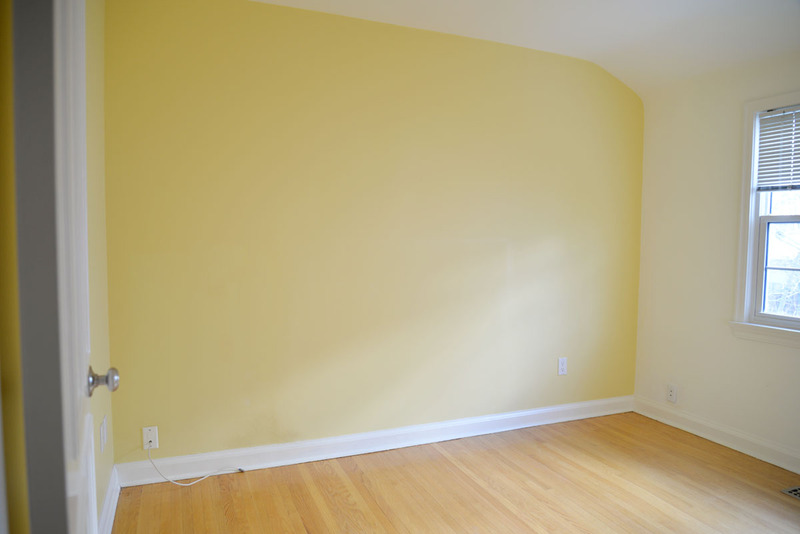 It is really really making paint selection difficult as I want to paint this entire room, walls and ceiling, one colour. I love a darker colour in an office but I'm not sure a dark ceiling will be very conducive or stimulating to work in. Do you have a dark ceiling in your home? Do you like it? Time to get a few things in this office decor project checked off the list!